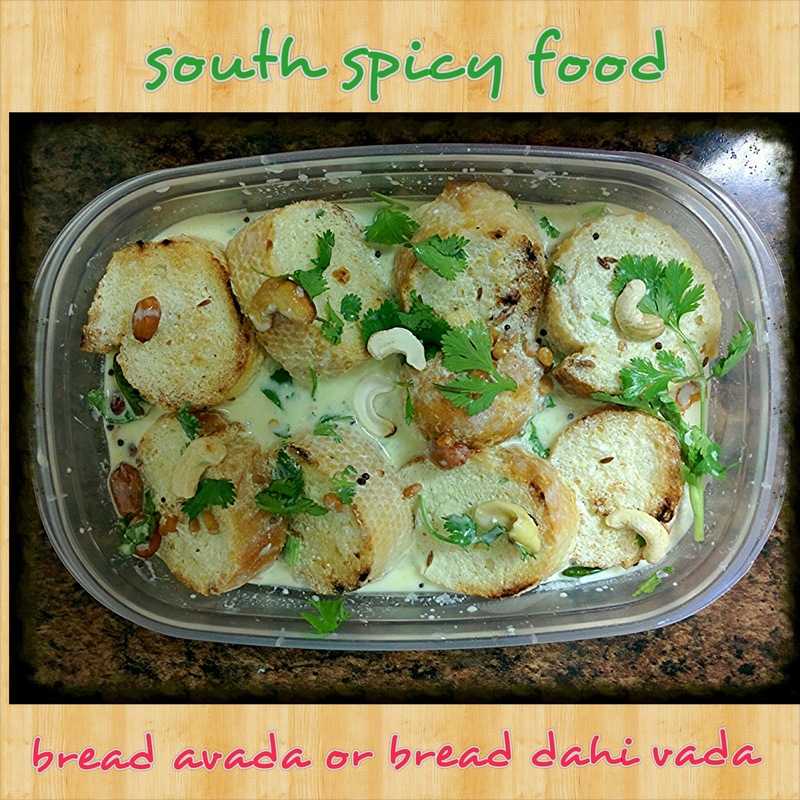 In this post i am gonna show you how to make bread dahi vada recipe.It mouth watering recipe.Once prepared you should serve these dahi vada immediately. A quick and very easy to prepare, there is no soaking or grinding required.Bread dahi vada is a delicious Indian recipe served as a Snack and breakfast.Lets see the ingredients and the preparation method. Whip curd with salt,chilli powder,turmeric and cumin powder. Heat oil in a pan tadka curd with mustard seeds,curry leaves,cumin seeds,red chillies,chana dal,cashews,urad dal and peanuts. Cut bread slices into round shape or what ever shape you like and toast them just enough that bread has become to light golden brown.Place then in a serving bowl. Cover bread completely with seasoned curd in serving bowl. Garnish with coriander and grated carrot. Breakfast is the most important meal of the day, not only does it give you energy to start a new day.There is a common quote always to remember how to eat food throughout the day "Eat breakfast like a king, lunch like a prince, and dinner like a pauper(poor men)"
But some people skip their breakfast in thinking of losing weight, but that's not a good idea. It can results in weight gain. Eating Breakfast has many health benefits, including weight control and brain development.Breakfast provides you with the energy and nutrients that lead to increased concentration through out the day. 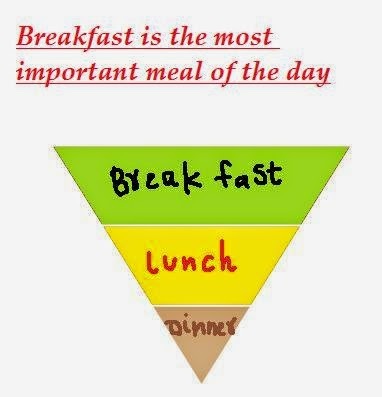 But most of the people skip their breakfast meal, because of their schedules and work. There are number of benefits that you can gain from eating breakfast. 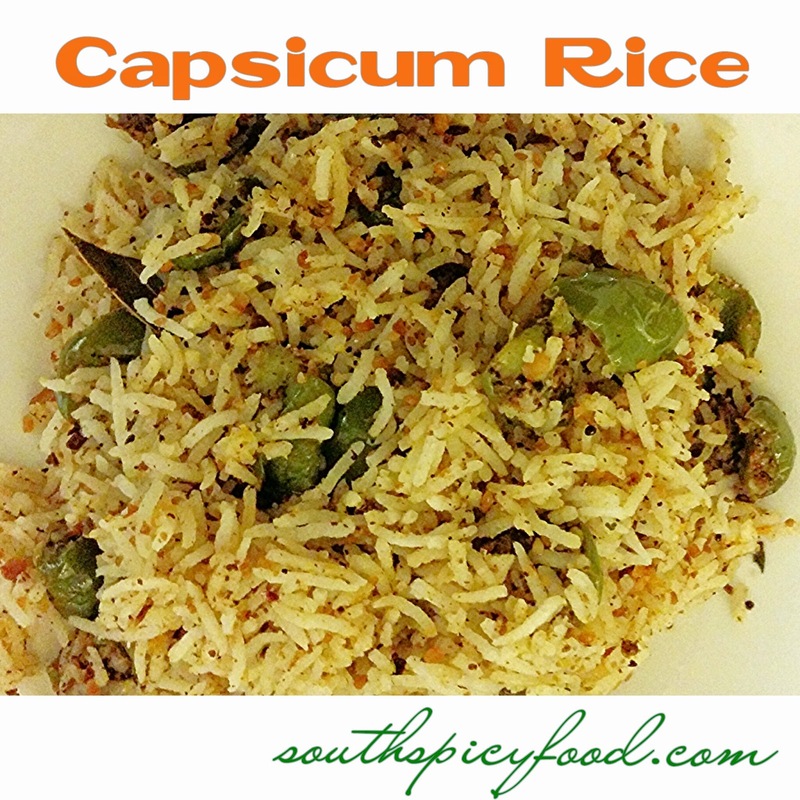 capsicum rice is cooked with green peppers or colored peppers and with some ingredients.capsicum recipe is fast and easy-to-make and so delicious in taste.It will takes only 10 mins to prepare. Heat cooking vessel(Don't add oil) on low to medium flame and add peanuts.black gram,mustard seeds,curry leaves,dry chillies,coriander seeds,cumin seeds,cashews fry for few minutes till dal turns to light brown and turn off the heat.Grind to make a fine powder. Keep aside. Now add oil or butter in a pan, add chopped capsicum and fry till it they become tender(don't cover and cook,because capsicum will get soft). reduce the heat, add grind powder and garam masala powder mix it and cook for 1/2 min. Add the cooked rice and combine with the spice mixture and capsicum. Mix it properly and garnish with coriander leaves. serve hot. minute till the rawness disappears and the flavors come out. 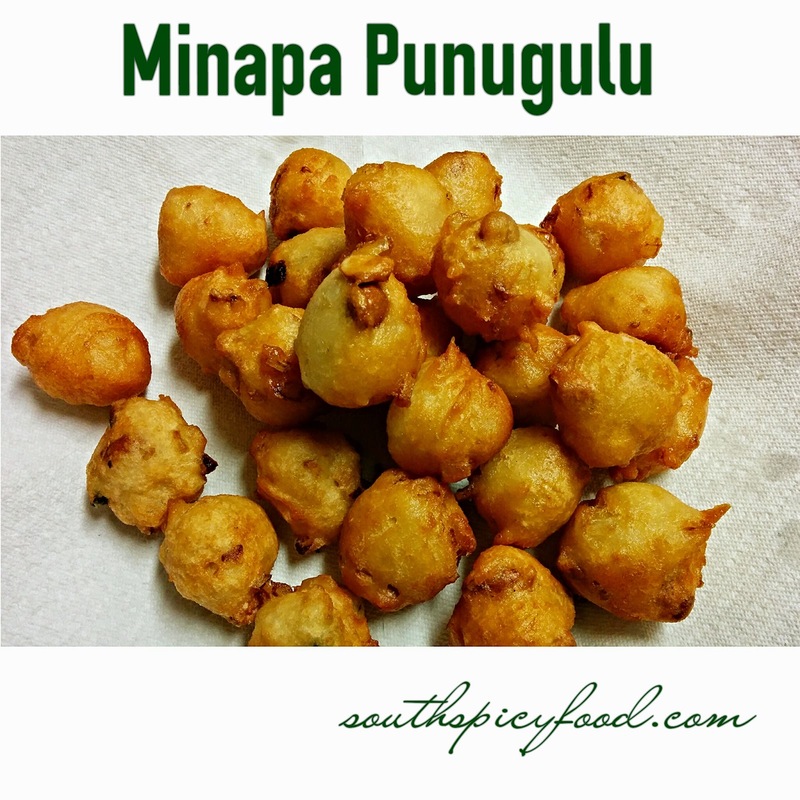 punugulu / punukkulu is a common street food in the coastal regions of Andhra Pradesh and served with peanut chutney or coconut chutney.These can also be prepared with left over idli/dosa batter by adding all purpose flour/maida,soda,onion,chillies to it with out fermentation. 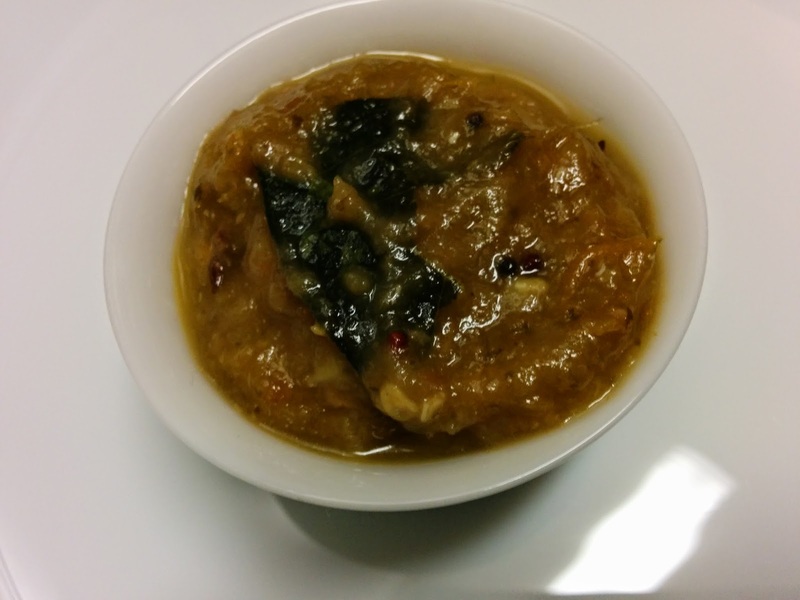 Grind soaked urad dal into a smooth paste. Take maida and urad dal mixture,salt,soda into a bowl and mix well.Ferment this dough for over night. Now to the fermented dough add onions,chillies,chopped gingger,curry leaves,coriander and mix well. Heat oil in a pan, take small ball of dough with wet hand and then drop into the oil. Fry on a medium flame, until punugulu turns to golden brown. 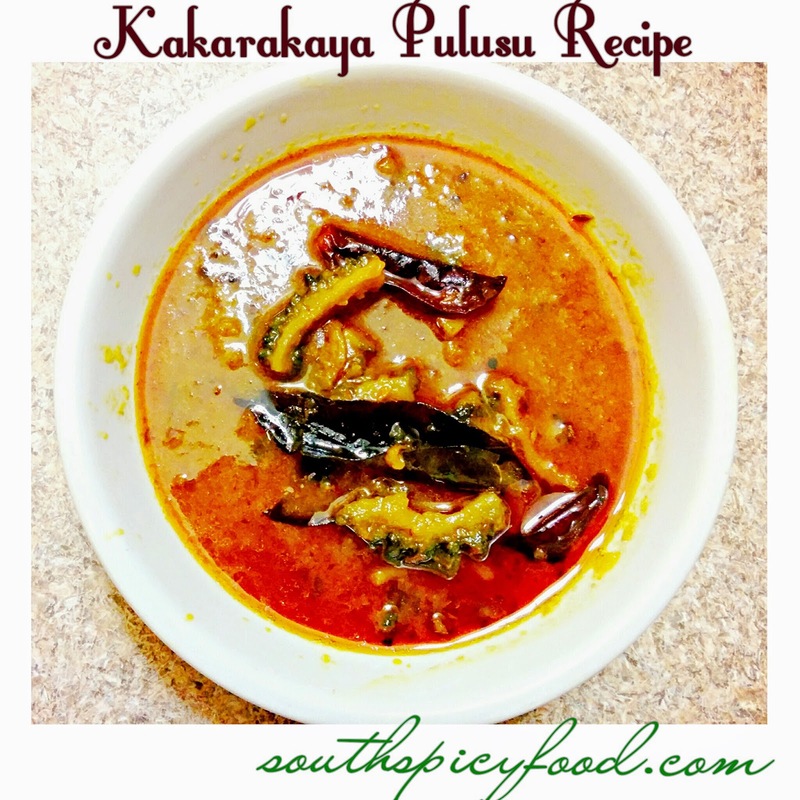 Sorakaya and tomato pachadi or sorakaya pachadi or sorakaya chutney is a andhra style chutney Recipe.Sorakaya Pachhadi / Bottle Gourd Chutney/anapakaya pachadi is good to have along with Dosa,idli,vada and Rice even.It is very easy to Prepare, it only takes about 15 min's for the whole process. Bottle gourd/sorakaya is a low calorie vegetable with high in dietary fibre and provides only 15 calories per 100 gm and only 0.1 gm fat in 100 gms. Peel of bottle gourd and cut into small pieces and tomato as well. In pan add oil, add sorakaya/anapakaya/bottle gourd,cilantro,green chillies and tomato pieces, fry on a medium flame till they are cooked. Now transfer this to a blender and grind to rough or smooth paste by adding salt to it. Now take a kadai/nonstick pan, heat oil add mustard seeds. when mustard seeds splutters add cumin seeds,garlic cloves,dry chillies,curry leaves and fry for 10 sec. When they splutter, add popu to ground chutney. 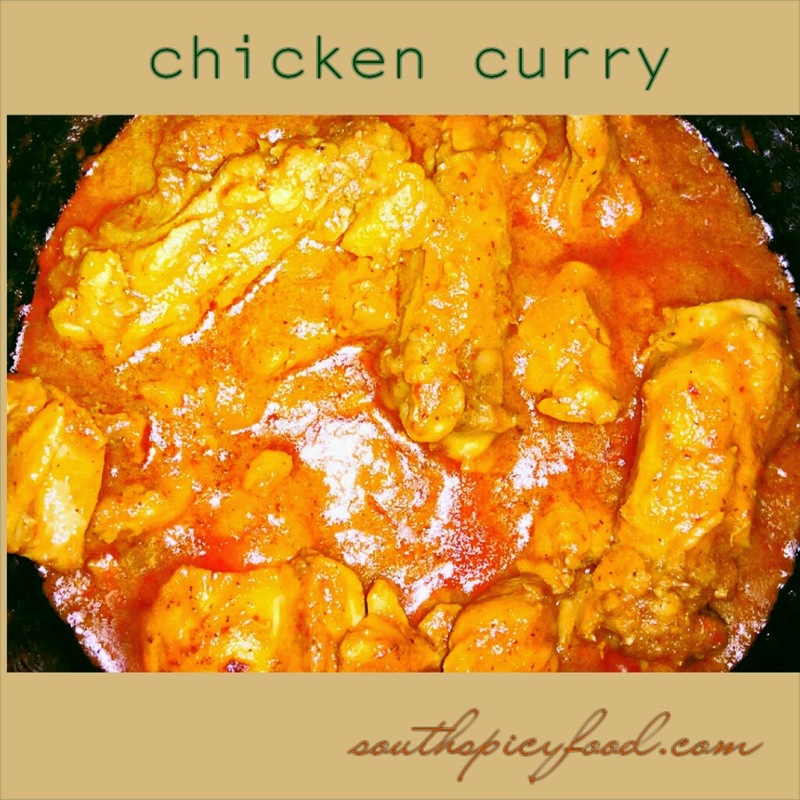 Serve with dosa,rice,idli or vada. 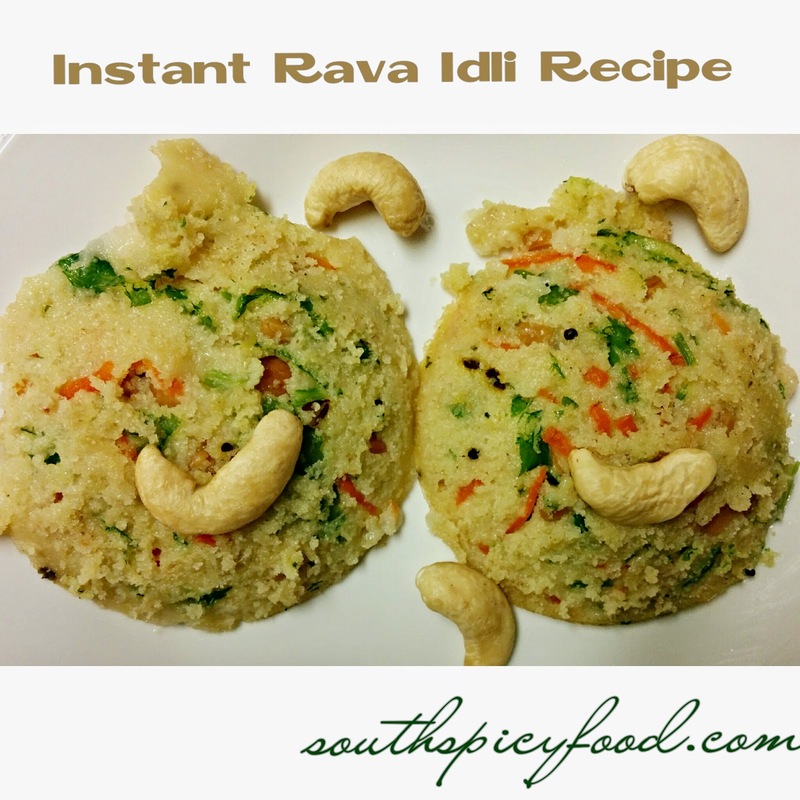 Rava Idli(Rava Idly) is my fav dish.Rava Idli is most popular in South Indian breakfast dish, which is very simple to prepare at home.It doesn't require any grinder or mixer to grind.Can also add vegetables to make healthier and testier.This idli is made with rava, which is so soft and tasty too...In these days there are many ready-made instant rava idly mix available in market and in stores, but those cannot beat the taste of soft and fluffy home made instant rava idli. In a pan add oil, add mustard, urad dal, channa dal,broken cashew nuts, chopped onions, chopped green chillies, curry leaves.Sauté until dal turns light brown color. Then add sooji and fry on low flame.Saute on a low flame without change of color. add the curd,enough water,lemon juice,salt mix well. (the consistency should be like our idly batter consistency. Add grated carrot,chopped coriander,baking soda and salt and mix properly. Keep batter aside for 15to 20 min's. 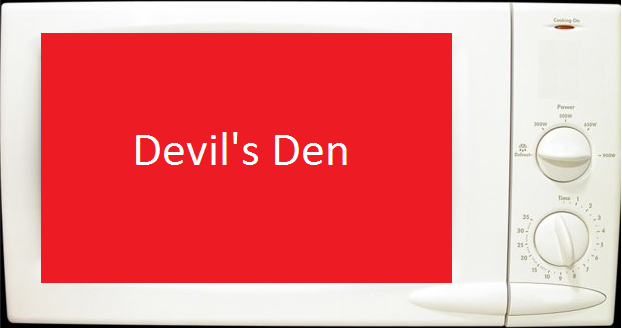 Grease Idli molds (plates) with oil. Pour batter in greased molds and steam it on medium flame for 10-15 minutes. Do not steam it on very high or very low flame. Darkness of the skin under the eye is mainly called as dark circles.Dark circles are not serious, but they make you look tired and older.You can easily get rid of darkness under your eyes using raw potato. Potatoes contain enzymes, vitamin C and starch that nourish the thin skin around the eyes. Potato act as natural bleaching agents, which will help to lighten the dark circles around or under eye, looks you like healthier and younger. Take raw refrigerated potato, blend them and extract juice from it.Take a cotton ball and dip it into the potato juice, place it on the dark circles or apply raw potato by cutting it into thin pieces. Place it over the affected area for 15-20 minutes. Repeat this process 2-3 times a day, then rinse off with cool water. Continue this every day till you notice the change. Microwaves are based on the principle of alternating current. Atoms, molecules and cells hit by hard electromagnetic radiation are forced to reverse polarity 1 to 100 billion times a second. There are no atoms, molecules or cells of any organic system able to withstand such a violent, destructive power for any extended period of time, not even in the low energy range (milli watts). Structures of molecules are torn apart, molecules are forcefully deformed (called structural isomerism) and thus become impaired in quality. Researches proved that, the food cooked in a microwave lost 97% of the substances that contribute to reducing the incidence of coronary heart diseases.